Some of our Field Services . 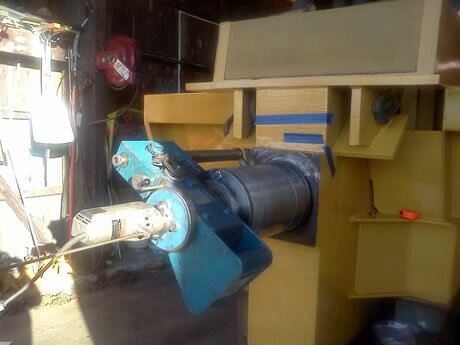 . .
We have several boring bars for turning taper bores (pictured above). We also have a machine for broaching larger taper keyways. 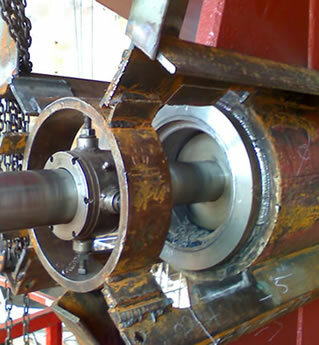 This is the process of turning the end of a shaft in position without having to remove it from your facility. In this instance we are boring and facing at the same time. This is for the propulsion drive on an aluminum boat. 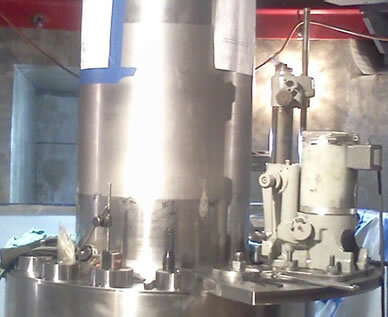 This is another of the machines that we designed and built for a particular application. Facing can occur in the horizontal or the vertical position. In this picture we are cutting the mounting face for an Azimuth drive in a fire support boat. We have several types of bed mills that allow us bring some of the shop milling abilities into the field. 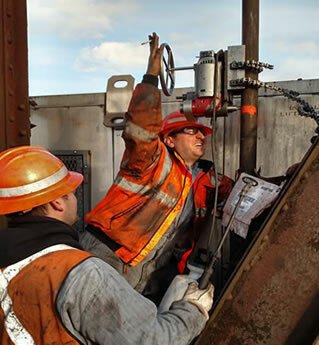 We have calibrated load cells on site ranging from 5000 lbs. up to 150 ton. 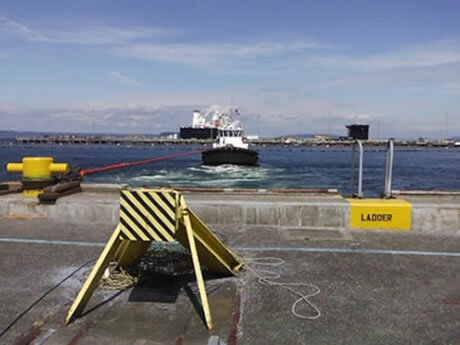 We also assist in the performance of bollard pull tests for boats requiring ABS certification. Field machining of keyways can be in most positions and can be in some hard to get at locations. 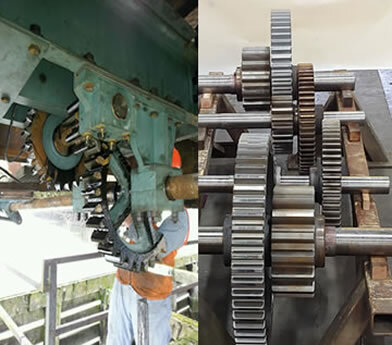 These gears, pictured on the right, were made to replace the gears, aged at over 100 years of service, pictured on the left on the. They are scheduled to be installed soon. 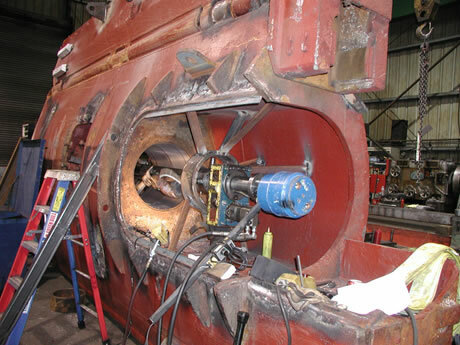 We have equipment and personnel certified for cutting and welding in the field. 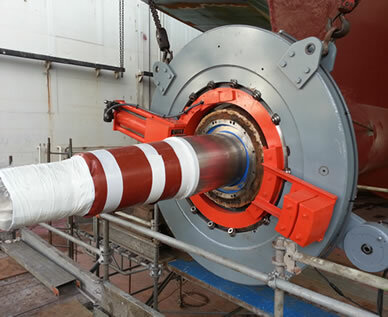 Line boring of stern tubes is one of our more common boring jobs. 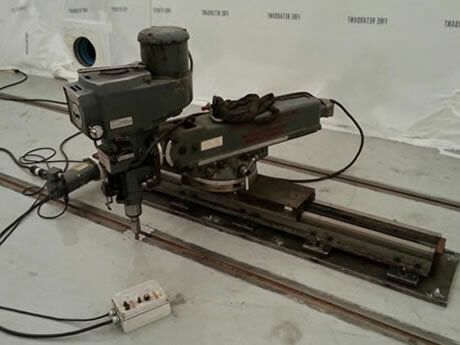 We have bars ranging from 1-1/2" to 6" for most line boring applications. 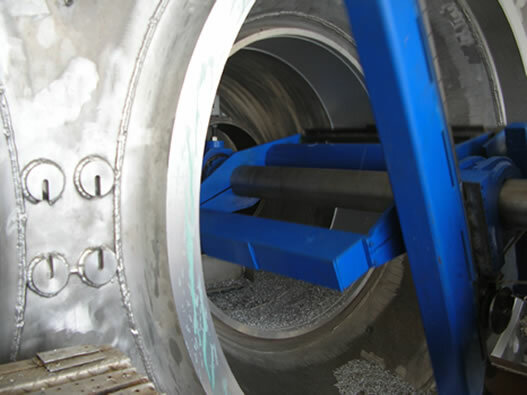 Most of our boring bars can be installed in a vertical application, we also have several smaller machines for jobs of a nature where we have limited access. 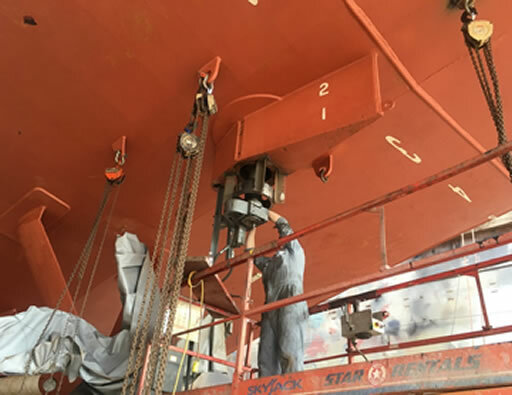 We have several machines that were designed and built for facing purposes such as cutting the face of the stern tube for the installation of a new seal carrier. This is data collected from the torsional stress applied to a rotating shaft during the opening and closing of a Bascule type bridge. 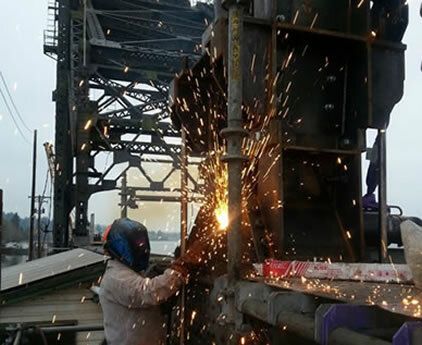 Testing equipment is applied without any delay in any operation of the bridge and data collected during normal operation through radio signals and no direct connected wires. 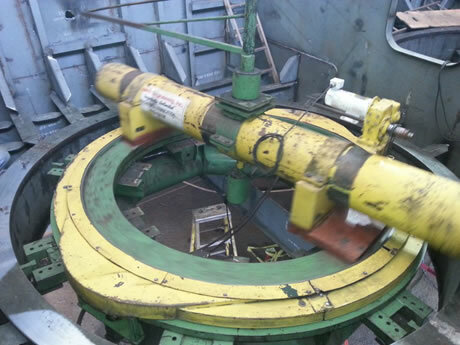 This bridge center turntable was fabricated and test assembled and the disassembled and reassembled in position. 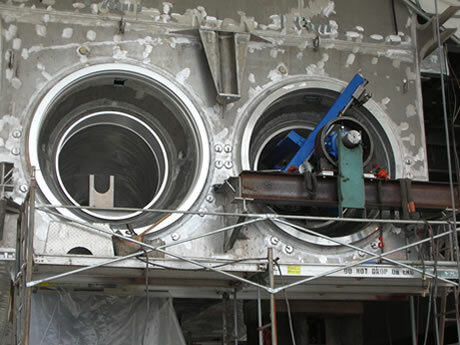 Most of the above machines can be adapted special applications or we can design and build a machine for you special project.